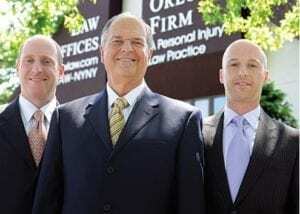 At the law office of The Orlow Firm, our attorneys work closely with medical economists and life care planners in determining the financial impact of a burn injury. If you’ve been seriously burned in a fire or have a loved one with severe burns, contact our Queens burn injury lawyers today for a free consultation. Construction sites in Queens often put workers at risk of burns. Equipment can explode. Electrical wiring can be exposed and dangerous. One small error by another worker or a negligently maintained piece of equipment can result in serious injuries or deaths. The Orlow Firm has attorneys who can help you obtain the compensation you need after a construction accident causes burn injuries. Our Queens burn attorneys focus much of our law practice on construction site accidents, including burns and other injuries resulting from electric shocks and explosions. To contact us for a no-charge consultation, call (646) 647-3398 or contact us online. To schedule a free consultation to discuss your case and injuries, contact Queens burn injury attorneys at the law office of The Orlow Firm online or call (646) 647-3398.